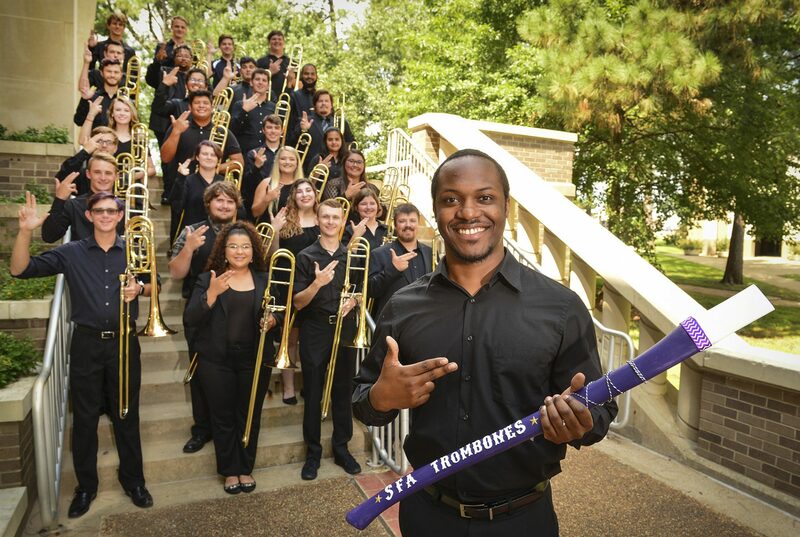 The SFA Trombone Choir will present its final concert of the year–tonight at 7:30 in Cole Concert hall. The first part of the concert will showcase trombone quartets. The trombone choir will finish the concert with the Chase Rondo, Michael Swann‘s arrangement of Grieg’s Aase’s Death, and Justin Allen will conduct the ever-popular “Tower Music”! Hope to see you there!